Very impressive! I’m still left in amazement and awe with the inside of a checkerboard cake. It’s actually quite confusing to me how it all works out, but layering 2 opposing cake color rings does the trick! Funny how circles are what make the squares of the checkerboard. Beautiful, right? Just leave it up to Amanda from I Am Baker to come up with this masterpiece! She’s the queen of surprise cakes, and even has a published book filled with gorgeous cake ideas like this one entitled, Surprise-Inside Cakes. 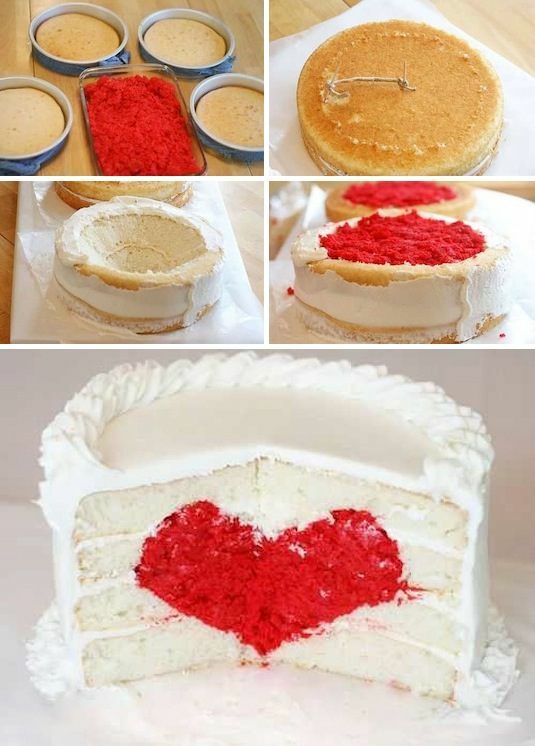 This would obviously be a hit for Valentine’s day, but I think a heart can be fitting for just about any occasion. Just look how the red cake pops up next to the white. Stunning! 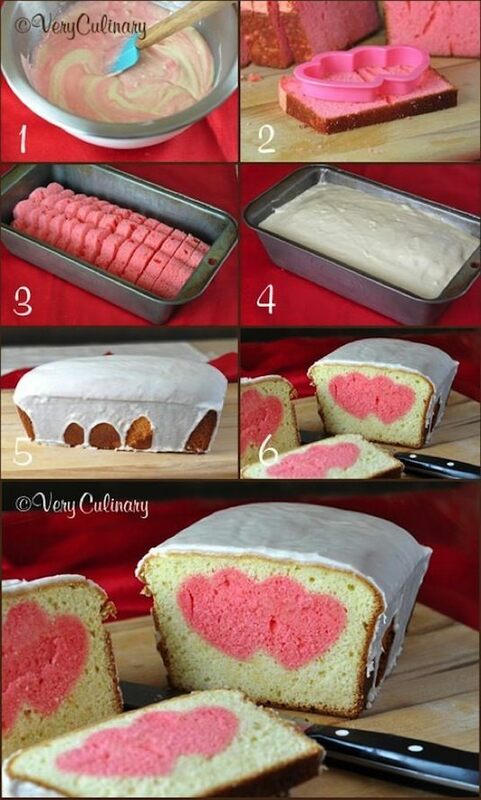 If you like the idea of the heart cake, but want something a little less formal, a poundcake is just as impressive! The technique behind it is completely different, using a heart shaped cookie cutter to get your surprise heart design. View the entire list of “Surprise-Inside” Cake & Treat Ideas.